I cannot believe it’s been one year since Jay and I got married and 5 years to the day that we met! Today was a fantastic day. 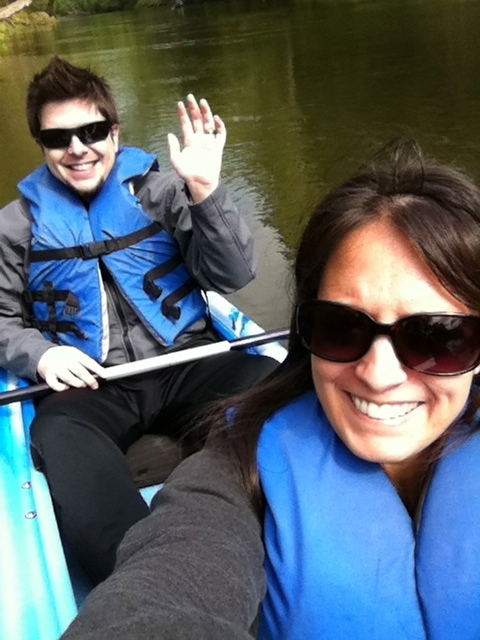 We got up early and went kayaking on the Neuse River. It was beautiful and the weather was fantastic. 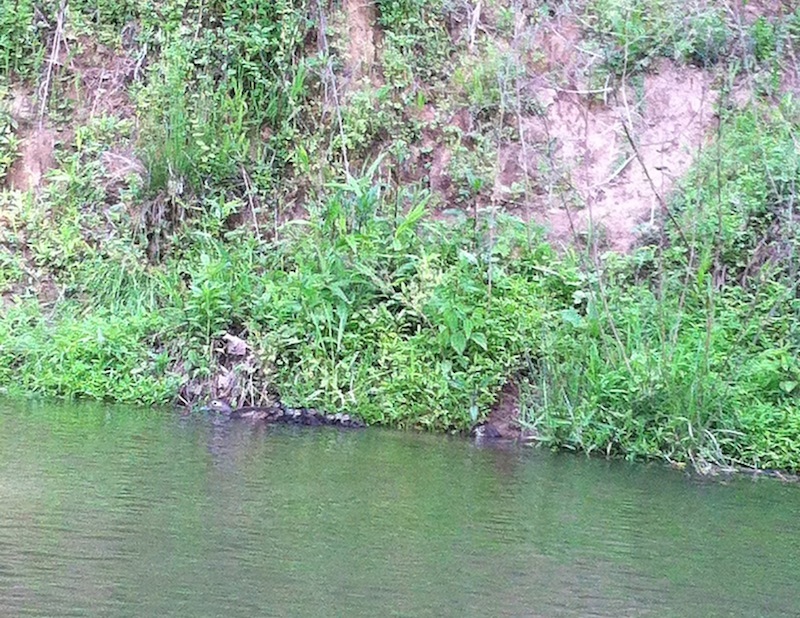 We saw lots of turtles and even a mother duck with a bunch of little baby ducklings following her. That was actually awesome and I’m sorta sad that the picture didn’t turn out very good. Kayaking on the Neuse River. 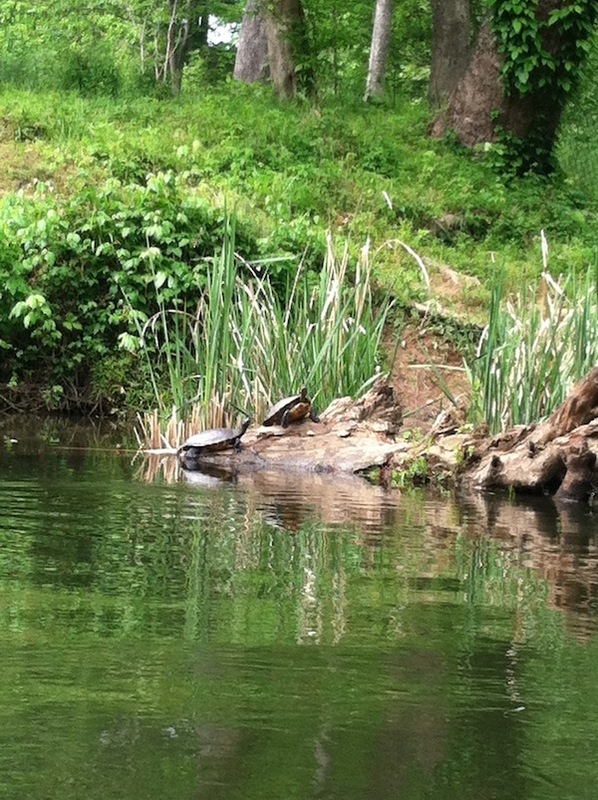 We saw a lot of turtles. After we went kayaking, we went for a hike. [Side note: We weren’t the only people to have problems with Paddle Creek kayaking; another couple with us were accused of not paying and they refused to pay until they could verify their credit card statements because they swore that they had paid.] We left for our hike from the starting point of where we started kayaking. It was super awesome for me to get to see a different part of the Raleigh Greenway System. This was started 20 miles from home, so I’d never been to this section before. 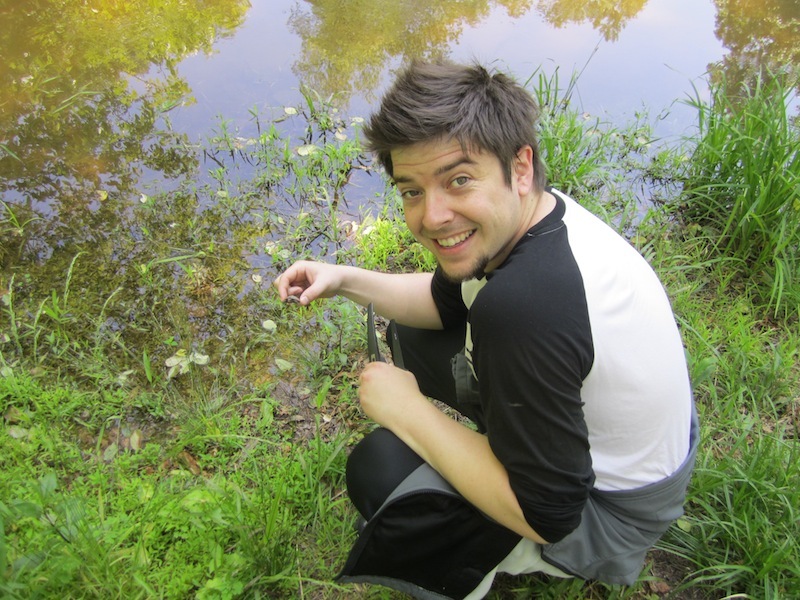 It was gorgeous and Jay saved a baby turtle’s life! The poor little guy was crossing the path where bikers, runners, hawks, owls (we’d seen all four of those) could easily end its life. In fact, right before we found it, we saw an owl fly into a tree carrying a snake in its mouth and then eat it from the tree. Oh, nature. We didn’t want the turtle to suffer a similar fate at such a young age, so Jay picked it up and carried it to the water. 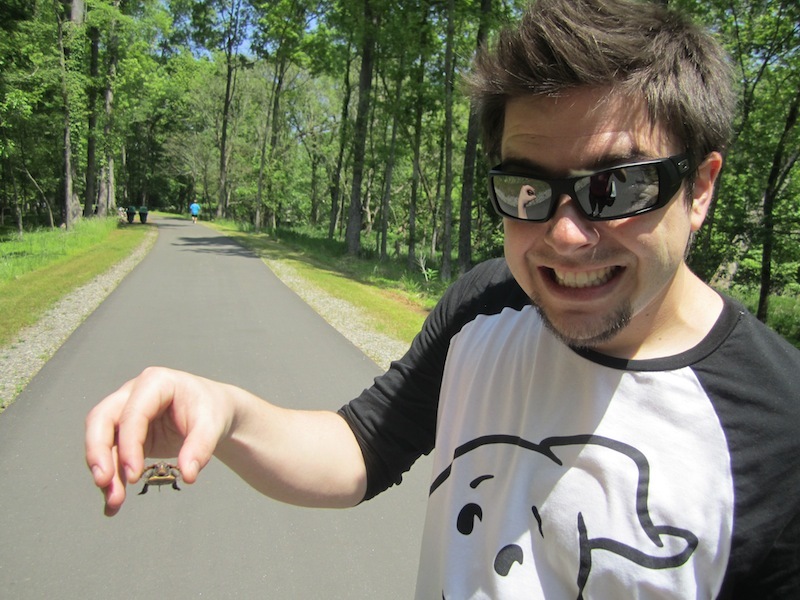 The baby turtle Jay saved. Back to the water you go, little turtle. After the hike, we headed home to hang out for a little while before dinner. 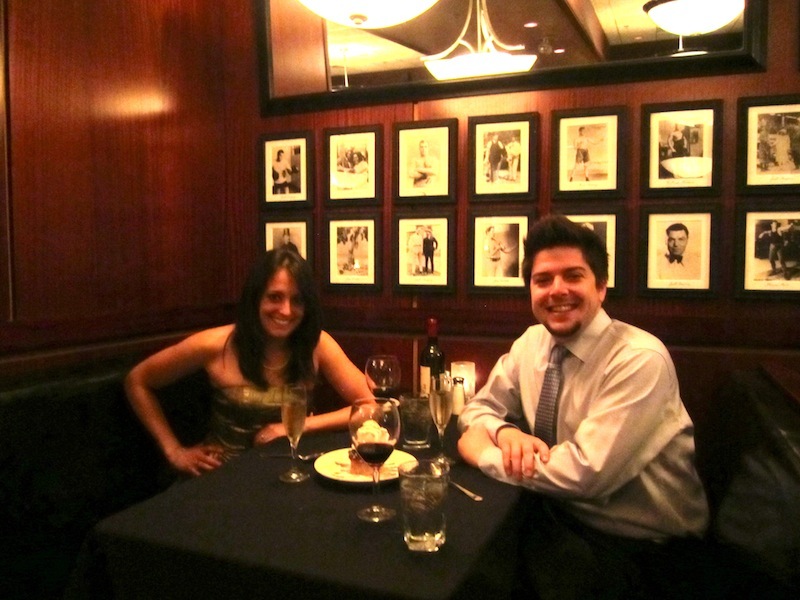 We went to dinner in Downtown Raleigh at a restaurant called Sullivan’s Steakhouse. It was absolutely delicious. I got the “Steak and Cake” special which was NY Strip Steak & Crab Cake. Freaking amazing. I’ll be eating leftovers for the next two days. So full. The most awesome part was our waitress. She was really cool to begin with, but at the end of the meal, she brought us over two glasses of champagne and a free dessert (bananas foster) without us even saying anymore more than “It’s our first wedding anniversary!” when she asked us at the start of the meal, “So, what brings you here tonight?” It was great. If Jay & I were wealthy in the money sense, we’d totally go there all the time haha. It was great. 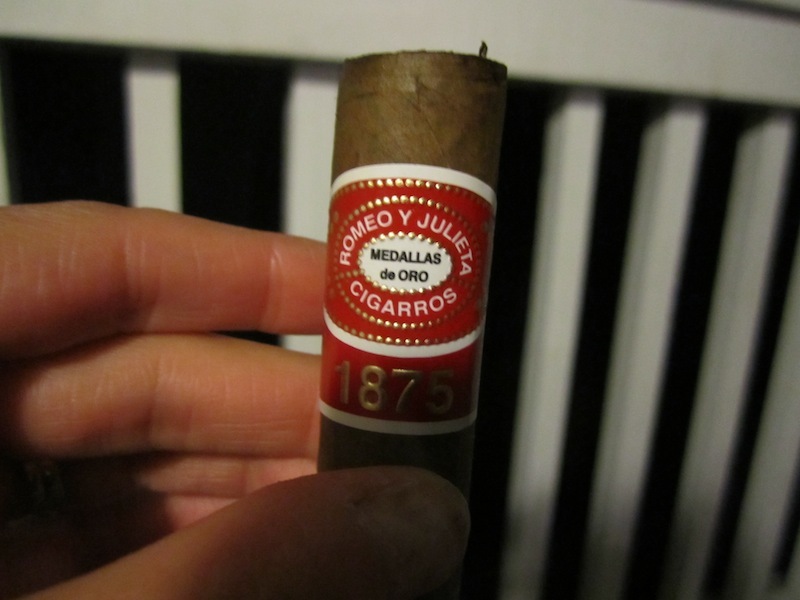 We finished off the evening with cigars on the deck at our apartment. I always like the idea of having a cigar but hate the after taste you get the next morning! I discovered this on our honeymoon. I think I solved the problem though tonight because I brushed my teeth twice and only had half of mine. I’m saving the other half for Tuesday night, when I am officially, 100% done with classes. Not quite a Cohiba like on our honeymoon, but still pretty good. On that note, it’s time for bed. What a fantastic day. I can’t believe it’s been one year since the wedding and 5 years since the day we met! 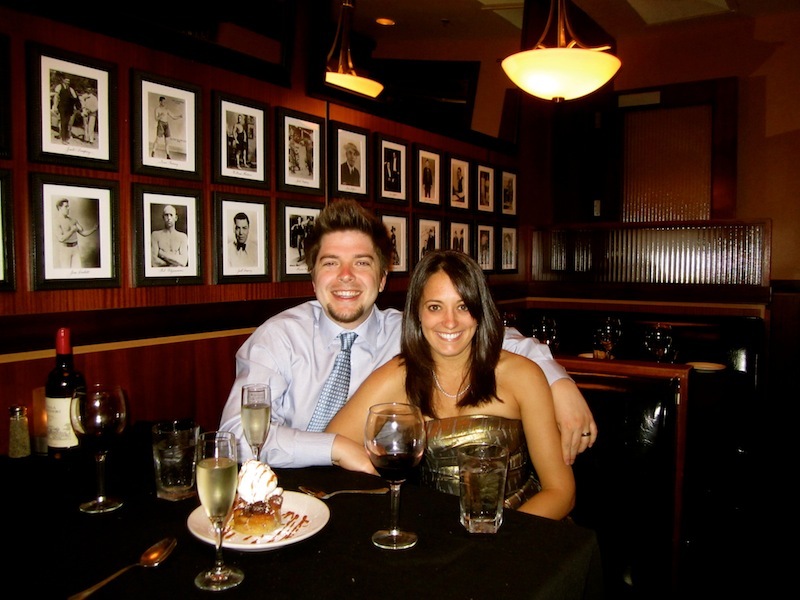 This entry was posted in Jay Glatfelter, Married Life, transfer, Weekend. Bookmark the permalink.